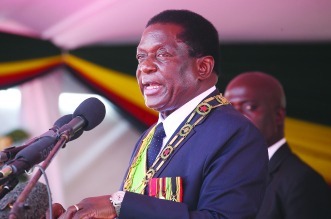 PRESIDENT Emmerson Mnangagwa’s government has awarded a whopping 22,5% “special allowance” rise to members of the security service, raising fears that the gesture could be a vote-buying gimmick as it came a few weeks before the July 30 general elections. The allowance, according to government circulars took effect on July 1. The schedule for police was not immediately available, but an offer of 20% special allowance has been approved by Treasury, according to Sunguro’s letter to Home Affairs minister Obert Mpofu Home Affairs and Cultural Heritage secretary. “Thank you for getting in touch with us. We request you clear your query with the Defence Forces Service Commission secretary, who is the originator of the communication,”he said.